A large proportion of the sensitive and latent heat is recovered from the return air, and is transferred to the supply air in the cross-counterflow heat exchanger and evaporator. 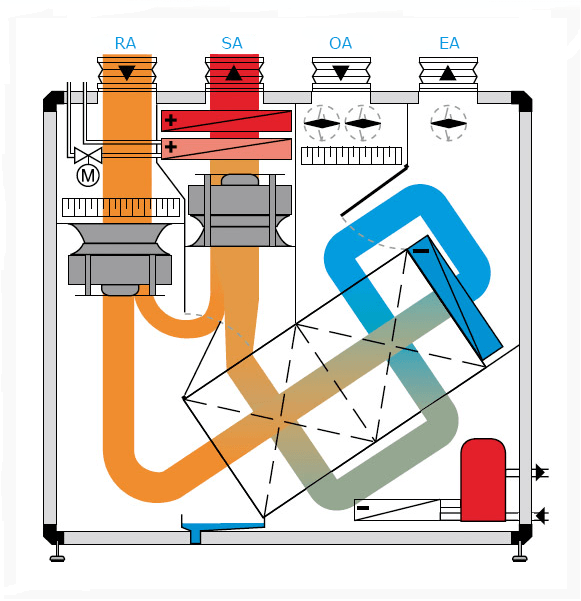 If the heat output of the heat pump is not sufficient, the supply air will be reheated using the heating coil. Excess heat can be transferred to the optionally available pool water condenser for heating the pool water. The air is dehumidified in the evaporator of the heat pump, this process is boosted by the pre-cooling effect in the heat exchanger. The air that has already cooled down and been dried is preheated in the heat exchanger by the return air from the swimming pool hall. On the other side of the heat exchanger, the transmission of heat produces a precooling effect, lowering the temperature of the drawn-in humid and warm air from the swimming pool hall near to its dew point. The preheated, dehumidified air is then mixed with a proportion of untreated recirculation air, is reheated at the condenser of the heat pump using the heat extracted during the dehumidification process, and is returned to the swimming pool hall as supply air. 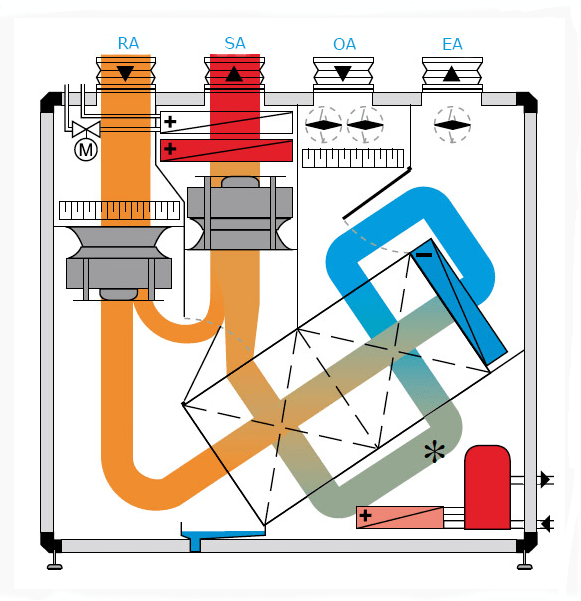 The heat pump is optimally designed, with a dehumidification energy requirement < 0.25 kWh/kg. If required, the supply air will be reheated using the heating coil. An existing domestic heat pump can be used for energy-efficient heating of the swimming pool hall air. 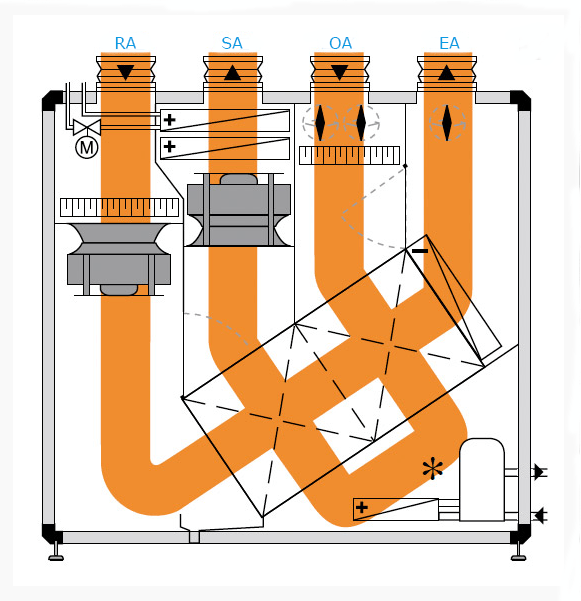 The domestic heat pump is connected to the heating coil. 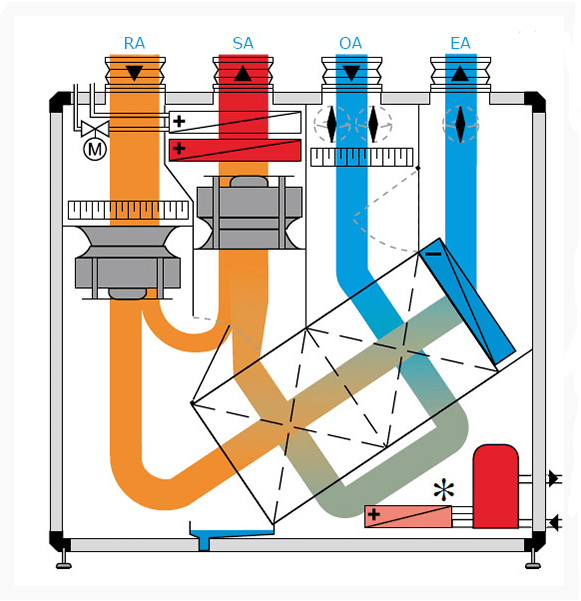 Typically, the low flow temperatures of the domestic heat pump are not sufficient for heating the swimming pool hall air – the heating coil is therefore installed upstream of the air condenser of the integrated heat pump. 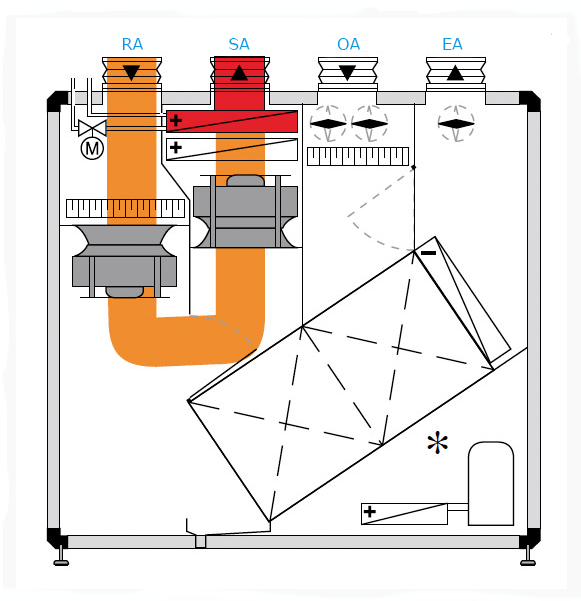 The domestic heat pump can so be operated with an optimal COP without a change in the low flow temperatures. 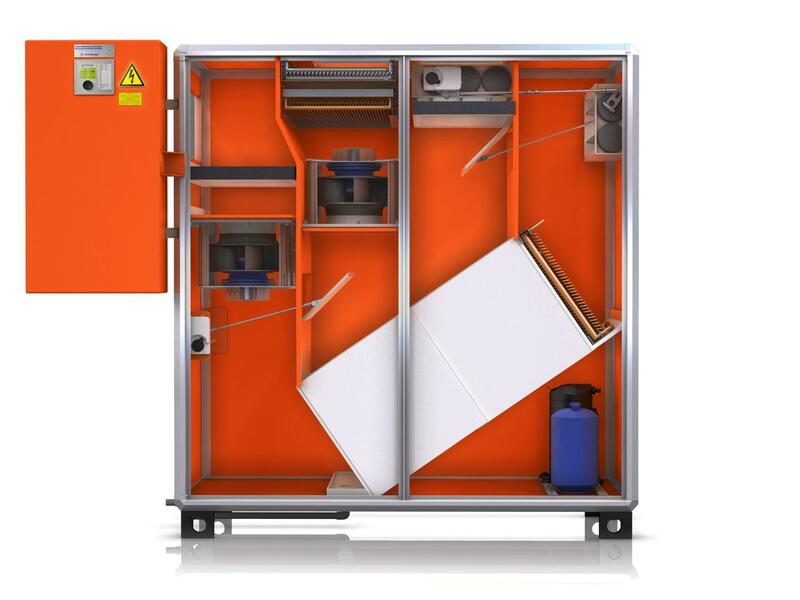 In combination, the two systems heat the supply air to the desired temperature level.